Once again us alcoholics kick off our yearly CNY celebrations with the annual Carlsberg Chinese New Year party. This year’s big bash was held in One Utama, High Street ground centre court accompanied by everything that makes it an awesome CNY celebration - an acrobatic lion dance, giant drum performances and lots of not-halal Chinese food. Carlsberg Malaysia MD, Lars Lehmann all smiles while "drumming" off the Carlsberg CNY promotion. This year also marks their half a BILLION ringgit fund-building milestone for their Top Ten initiative, an effort with China Press and Nanyang Siang Pau, that funds the development of Chinese education and schools in Malaysia. Keep up the good work, guys! 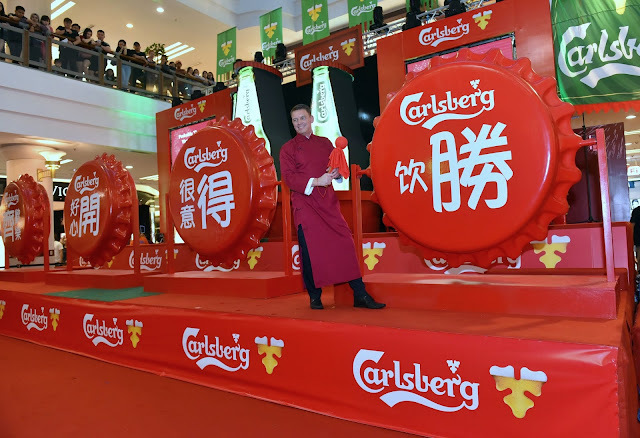 Carlsberg Malaysia's CNY theme for 2018 is inspired by the Chinese saying Qí Kāi Dé Shèng (齊開得勝) which means “flagging off to successful ventures” or “together, we succeed”. Well, 2017 was a humdrum on the economy, so 2018 being ‘ye leng yat fatt’ it can only be better, right? In conjunction with Carlsberg's Probably The Most Victorious Year promotion this year, there's a whopping RM6 million worth of prizes up for grabs from Jan 1 to Feb 28 across so many campaigns that basically, everyone that drinks or buys Carlsberg can be a winner! So go forth, drink a Carlsberg and HUAT AH! Okay, the last 2, I made it up. The good folks from Thirstmag very kindly extended their welcome for us to check out an exclusive seafood pairing by the newly opened Poseidon with Gekkeikan sake. And you know when there's booze, we're game. The night featured a 4-course tasting menu by Poseidon's Chef Chris Tulseikrishnah Ramachandram and hosted by Cellar Eighteen’s Certified Sake Sommelier, Sebastian Chen. 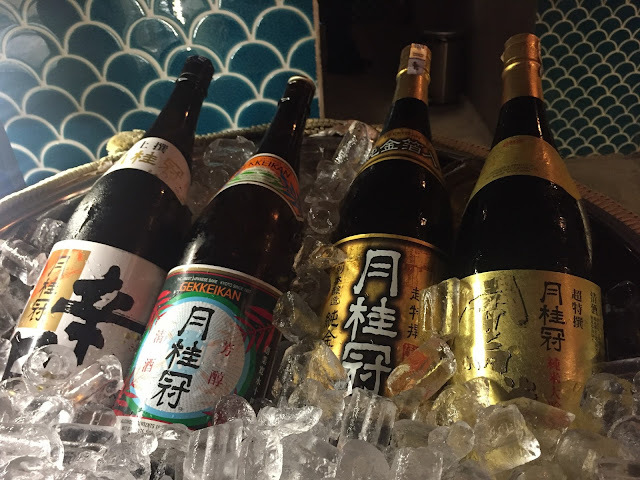 Sake and seafood are MFEO (made for each other), which makes sense because they both originated from and are abundantly found in Japan respectively. 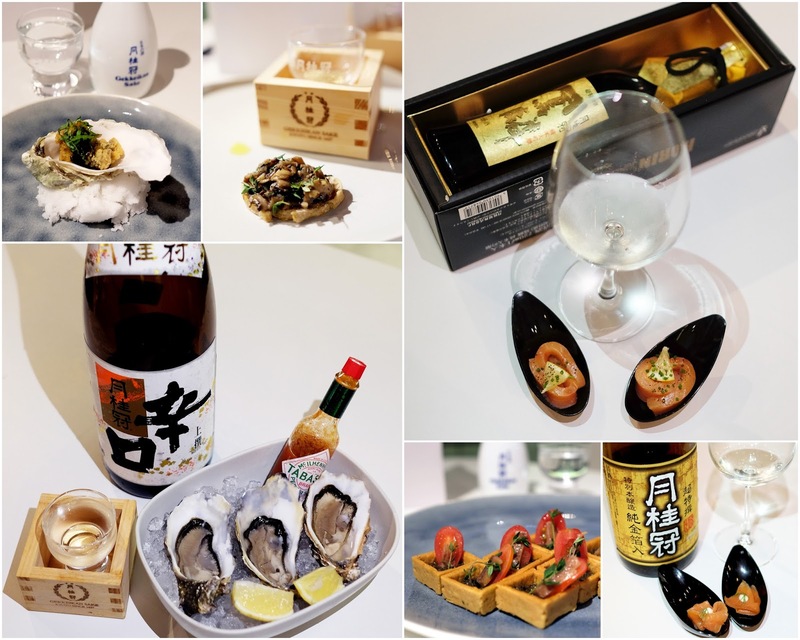 - Josen Karakuchi, a dry-styled sake was paired with some lovely fresh raw oysters. - Traditional Sake, a full bodied spirit forward sake, was paired with hearty mushroom bruschettas with truffle oil. - Horin Junmai Daiginjo, made with the high quality Yamada Nishiki used for brewing premium sake, delicate and fruity, was paired with an exquisite royal fillet salmon. We also had a taste of the Bizan Super Rice Shochu (25% ABV), which would've been a lovely as a highball, in my opinion. 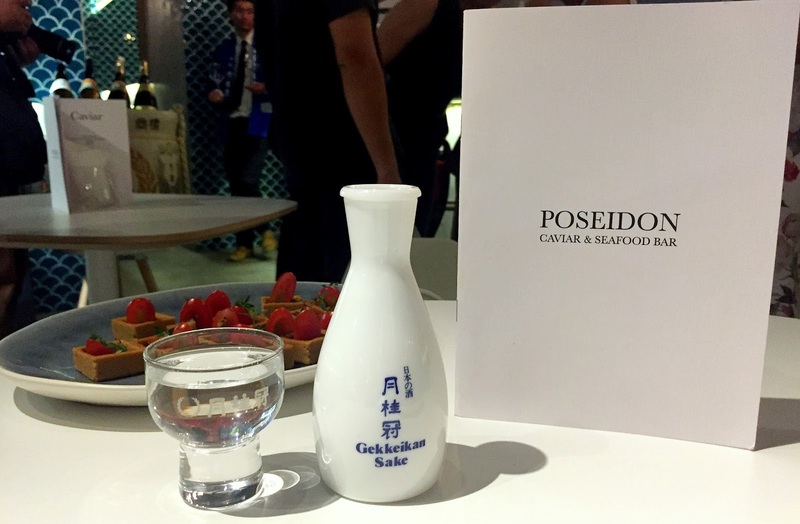 Being a seafood lover myself, we would have to make another trip back to Poseidon. They have a wide range of fresh premium seafood and being a caviar and seafood bar, its other highlight would be, you guessed it, its premium Beluga caviar, which is absolutely YUM. There is really not much to shout about for fun in Bandar Utama with the exception of the 2 malls, One Utama and Centrepoint. So where would you go if you’re knackering for an adult beverage? If you’d ask me that last year same time, I’d tell you to head to Taman Tun. In the afternoons, Maze is a chic afternoon hi- tea / Coffee saloon that resembles the decadent 70s and when the sun goes down and the lights go up it transforms into a gin parlour. Maze boasts 200 Gin focused labels and gin cocktails. The ambience befits the arrival of certain super spy in a dapper suit that would casually sit down on one if the plush couches and say, ‘Martini, shaken, not stirred”. 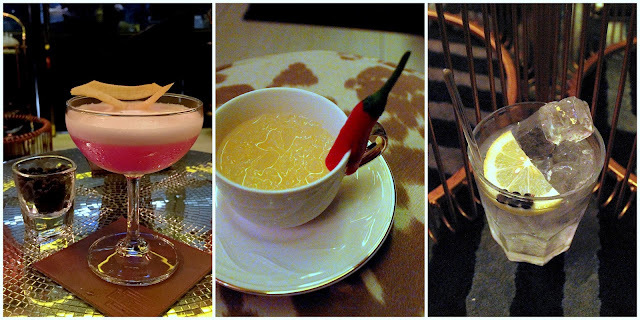 Maze got in Adam Westbrook, Esq, previously the head bartender of the Skullduggery group, to revamped beverage menu. So there's a new set of gin-based cocktails ranging from the fruity and easy-drinking to the spirit forward, featuring local ingredients and localised flavours. There will over 200 available labels to try, and 70 labels to order by shot like whisky. If you order a bottle of gin, a push cart of cocktail condiments and garnishes comes with it for you to customise your own G&T. With Maze being chic, Chaze is the the masculine counterpart with its dim lighting, leather lounge and a back bar filled with whiskies. Bar bites, beers and signature cocktails are also served here but opening bottles is very common here too. Different themes and DJs are the feature daily within a week. What's extra - a ping pong table placed smack right in the middle of the dance floor in the early hours of the night. 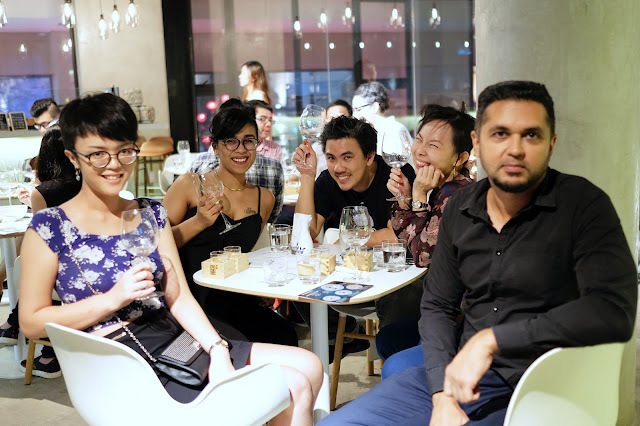 Strategically located on the ground floor of Menara Lien Ho, Lavo is a resto bar that serves a delightful menu of western, local delights and bar bites while boasting an extensive wine list of more than 1000 labels. They also have brands from the Heineken Malaysia on tap, cocktails and spirits to boot. 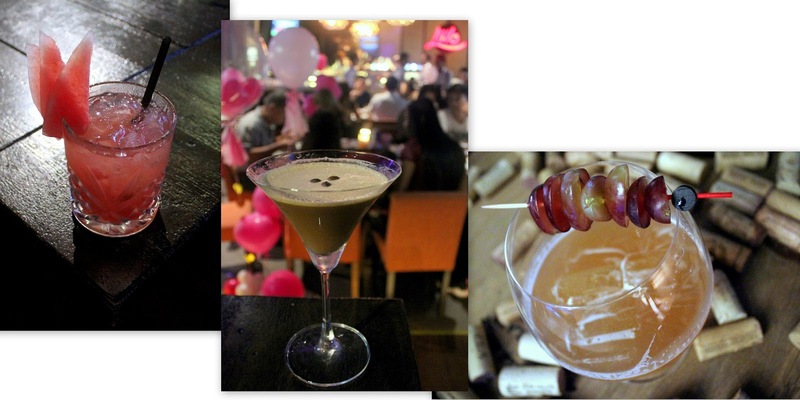 While Maze seems posh, Lavo is the chilled sibling and is kid-friendly. Smoking is only allowed outdoors and a kids eat for free weekend promo is available. Lavo also caters to events and special requests. Stay tuned on this spot. As you read this, another outlet is in the pipeline to open soon. .....oriental style tapas anyone?